Kenny Hodges, ’94, president and CEO of Assurance Financial, will deliver the third “Inside the C-Suite” lecture for Louisiana Tech University’s College of Business on Tuesday, April 16, at 4 p.m. in Davis Auditorium (College of Business 101). This free event is open to the public. Hodges is the president and CEO of Assurance Financial, an independent, full-service residential mortgage banker. After working with Wells Fargo for seven years following college, he founded Assurance Financial in 2001 and has grown the company to 21 branch offices supported by two operations centers in Baton Rouge, Louisiana, and Charlotte, North Carolina. The company has more than 200 employees and is currently originating mortgage loans in 28 states. He is an active member of the Mortgage Bankers Association and the Louisiana Mortgage Lenders Association where he has served as board president. He is also a member of Young Presidents Organization (YPO) and serves as the Louisiana Chapter learning officer. 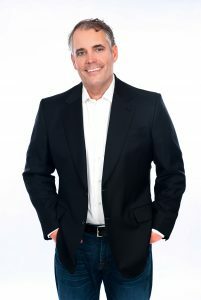 Hodges received his bachelor’s degree in entrepreneurship management in 1994 from Louisiana Tech University, where he served as Student Government Association president. Today, he lives in Baton Rouge with his wife Danna, a 1994 Louisiana Tech alumna, and their three children.